Spring, a time of year when so many meetings, events, activities, parties, all seem to coincide at once, eventually it spins into something like a cyclone of constant activity showing no end in sight, including fitting in between all these activities, many other timely tasks required in general home upkeep, and of course, the herb and garden planting. I suspect there are lots of folks that after being away from home everyday for so many days on end, with such latter tasks at hand, finally just need to temporarily check out just to accomplish them all, yes, those folks like moi whose few days of such arrived late last week. A beautiful sunny day today now greets with bright sparkling right down onto many new plants, shrubs, and, most of all the herbs and vegetables garden whose only left open spaces wait for some plum tomato plants, that according to the local nursery will be available in plenty later this week. One of the many pleasantries I find in spring, even with its hectic schedule of reemerging activity, is the relative ease one is enabled popping up from under lighter covers into the growing warmth of early morning light. This also has its advantages of getting out to the Farmer’s Market just as the canopies pop up too offering some cover for those limited number of hours to the broad and growing selections of diverse locally grown seasonal products now available for sale. The past two early morning Saturday’s before beginning the weekend engagement of events included quick trips out to one of my favorite among the areas Farmer’s Markets, Phoenixville. These past two early Saturday mornings have also included picking up from Charlestown Farm stand some of the most beautiful, fresh celeriac ever, along with large bags of small bright green spinach leaves, hence today’s Celeriac and Spinach Soup. While typically a fall crop, these celeriac are somehow giving us some sort of extended fine season for they are so incredibly tasty and tender. Having prepared the Celeriac and Spinach Soup twice, the second time for neighbors, who enjoyed it so much, that, well, that I’m pleased to have photographed a bowl before serving to share it with you, checking back in while resuming the whirlwind of activity where ‘everything always happens at once,’ even when occasional clouds begin to appear across the sky insuring the growth of the plants, shrubs, and the abundance of herbs and vegetables, it is Spring, and you know how it goes, ‘when it rains, it pours’. Warm butter on very low heat in a soup pot, add onion, cook two minutes, stir in cubed celeriac and potato, continue heating on the lowest heat around fifteen or twenty minutes until all of the pot ingredients are well softened. Pour in 4 cups chicken stock, increase temperature a bit, still on low heat, and simmer around a half hour or longer until ingredients are fully cooked. 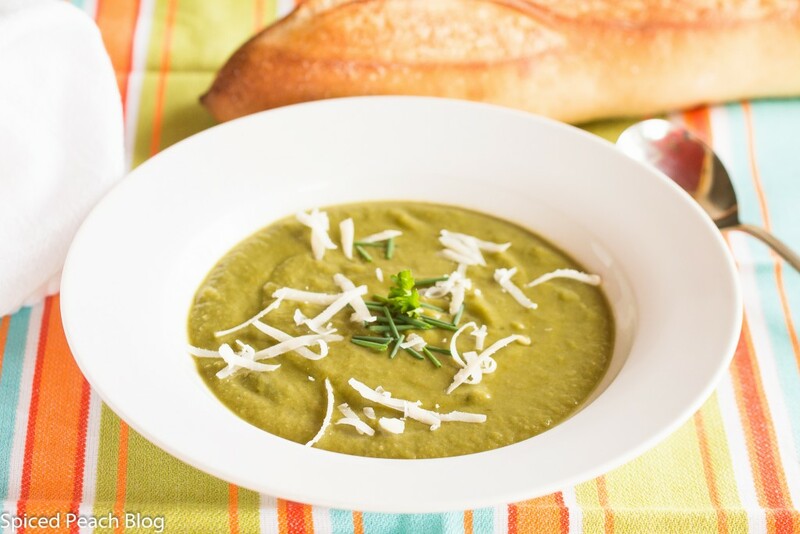 Working a batch at a time, puree soup in a blender or food processor and return to soup pot. Add 2-3 more cups of chicken broth, stir and simmer for fifteen to twenty minutes, sprinkle in salt and pepper, check seasoning adding more salt to taste. Turn off heat and let soup sit for at least one half hour for flavors to fully immerse together, the soup will thicken upon standing. Heat soup before serving adding in the remaining chicken broth to thin out to desired thickness. Check seasoning, adjust to taste. 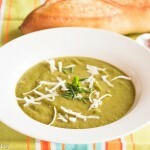 Ladle soup into bowls and top with fresh snipped chives and a bit of fresh grated Parmesan cheese. This entry was posted in Soups and tagged Celeriac and Spinach Soup, Celeriac and Spinach Soup recipe, Charlestown Farm Celeriac and Spinach, Phoenixville Farmers Market. Bookmark the permalink. Post a comment or leave a trackback: Trackback URL. I have never had celeriac, but I’m sure that if our farmers’ markets were open now, it would be there, surviving quite nicely from the fall harvest. Does it taste like celery? 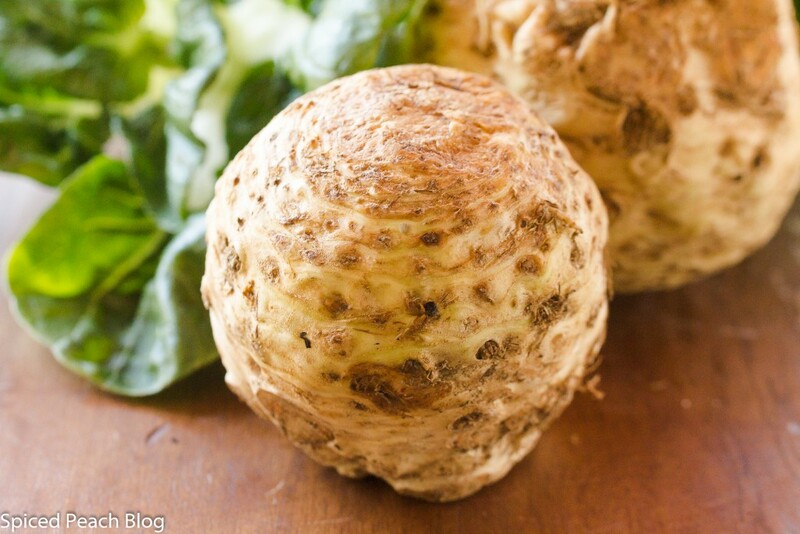 Hi Kelly, yes, though celeriac is a milder flavor than celery, and it is lovely combined with many different ingredients, including potato and celeriac mash from River Cottage veg everyday, or Fennel and Celeriac soup we prepared with our CCC group. It is also good raw too though I tend to enjoy it more cooked. Thanks for joining in.